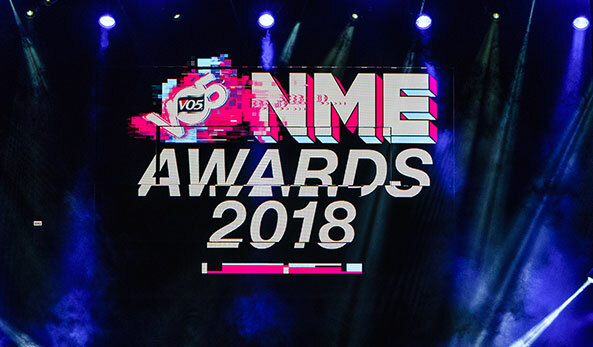 LONDON — February 15, 2018 – leading AV provider, Anna Valley, provided the video technology used to create spectacular dynamic displays at the VO5 NME Awards 2018 at London’s 02 Academy Brixton on February 14th, 2018. 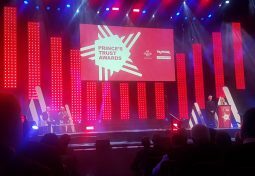 Central to the event design, created by Reality Ltd, the event production company, was an ambitious backdrop consisting of multiple LED screens that changed configuration for each artist and award. 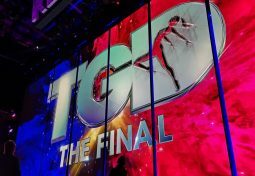 The exploding banner: comprising three LED screens in staggered positions to display captions, logos and titles. The exploding main screen: created from five LED screens that moved independently into different configurations to form the backdrop for the main acts. The MiSTRIP Lattice Gateway: interlaced video poles used to create a gateway for artists and presenters to make their entrance. 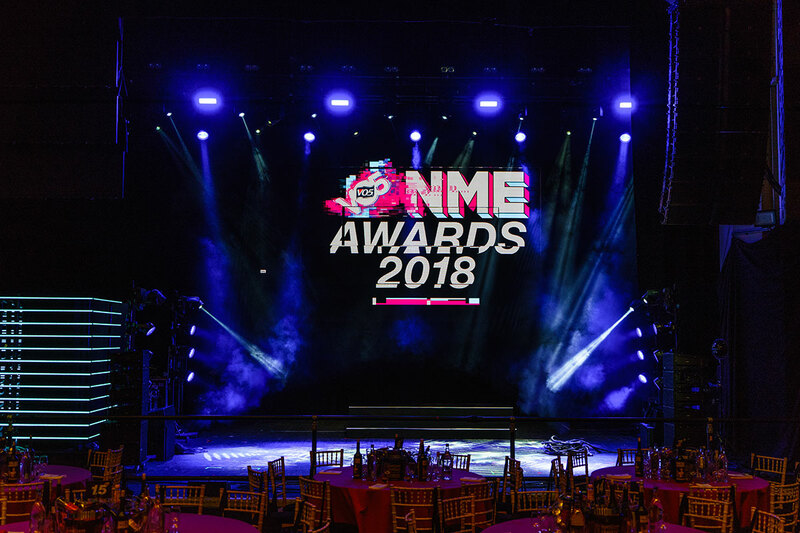 Both the exploding banner and main screens were built from Anna Valley’s AV3 3.9mm LED panels and were suspended and moved by Neg Earth using Kinesys motors – motion-controlled systems that enabled millimetre-perfect repositioning of the screens during the show. 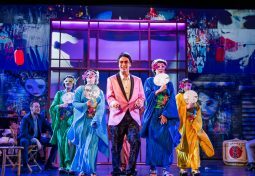 The LED content was managed using a Barco E2 4K switcher, with graphics and video playback coming from MacBook Pros. In addition to the on-stage video presentation, Anna Valley also provided IMAG screens using a Panasonic AV-HS 410 vision mixer and two Panasonic 21K projectors. 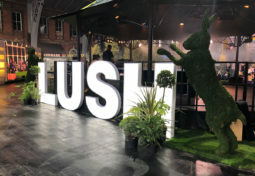 Camera images and autocue feeds for the presenters and performers were played back on seven LG 75-inch 4K screens, positioned throughout the venue.